Forecast is a clever weather app that provides a high-flying global overview to weather forecasts, as well as smart local and historical weather information. 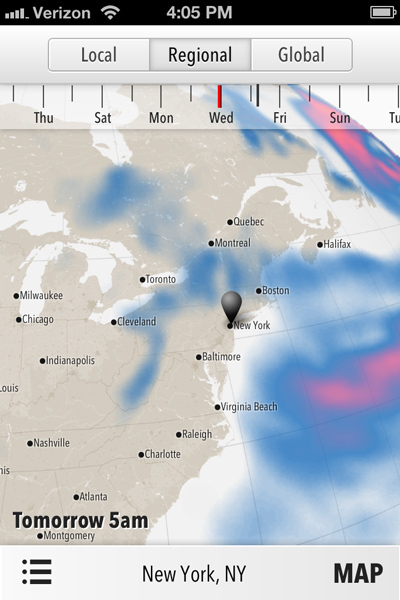 The app has a number of useful features: A smoothly animated weather map that places weather patterns in a wider context by showing vast portions of the globe. Simple 7-day weather forecasts that are pared down to only the most relevant information. And a “time machine” feature that lets users find weather data for a location up to 100 years ago (depending on location). 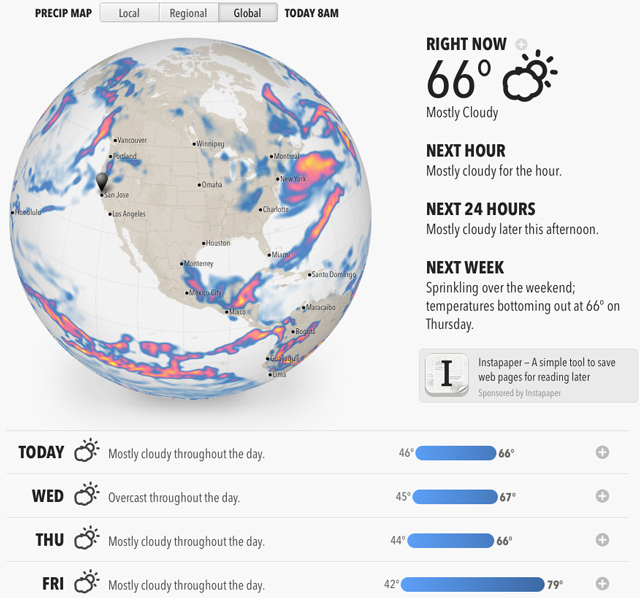 The Forecast app works on most devices including computers, iOS, and Android devices. The app was created by the makers of the Dark Sky weather app—the API that powers both apps is now open to developers.